The ship will boast all the latest features from Royal Caribbean’s Royal Amplified modernization program. One of the biggest new features that will be added during the dry dock is the longest water slide at sea, The Blaster- a two-person raft that will run for 800 feet and offer the ultimate thrill with a series of twists and drops which even extends over the side of the ship. This record-breaking water slide is just one of the new features to be added to Navigator of the Seas. On its counterpart, Riptide, will plunge guests down the cruise industry’s only headfirst mat racer and reach a thrilling finish through a translucent tube with breath-taking ocean views. Guests will also be offered signature Royal Caribbean features like the FlowRider surf simulator and rock-climbing wall. The dry dock already started on January 3 and the ship is scheduled to return to service on February 24, 2019. The navigator will debut with 3- and 4-night Caribbean cruises from Miami, then since May, the cruise ship will offer short Caribbean itineraries that will visit the cruise line’s highly anticipated private island in The Bahamas, Perfect Day at CocoCay. 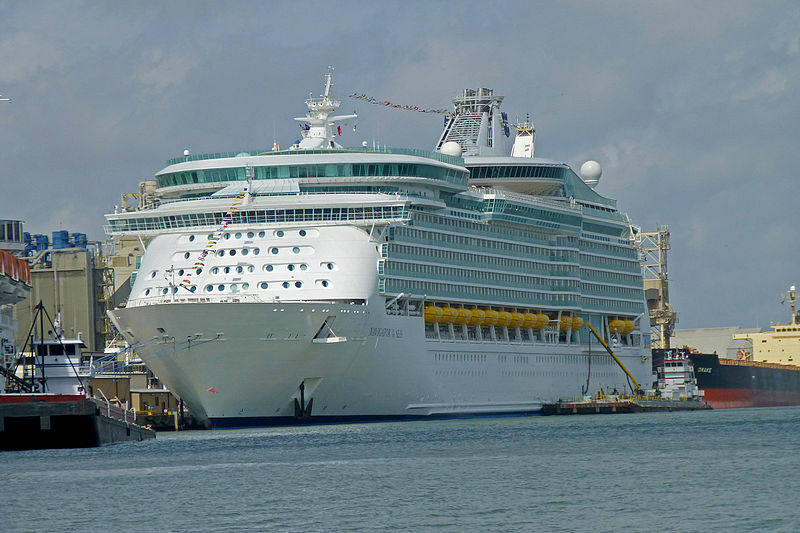 This entry was posted in Royal Caribbean International (RCI), Travel, Vessels and tagged cruise ship, Royal Caribbean International, travel by writer. Bookmark the permalink.